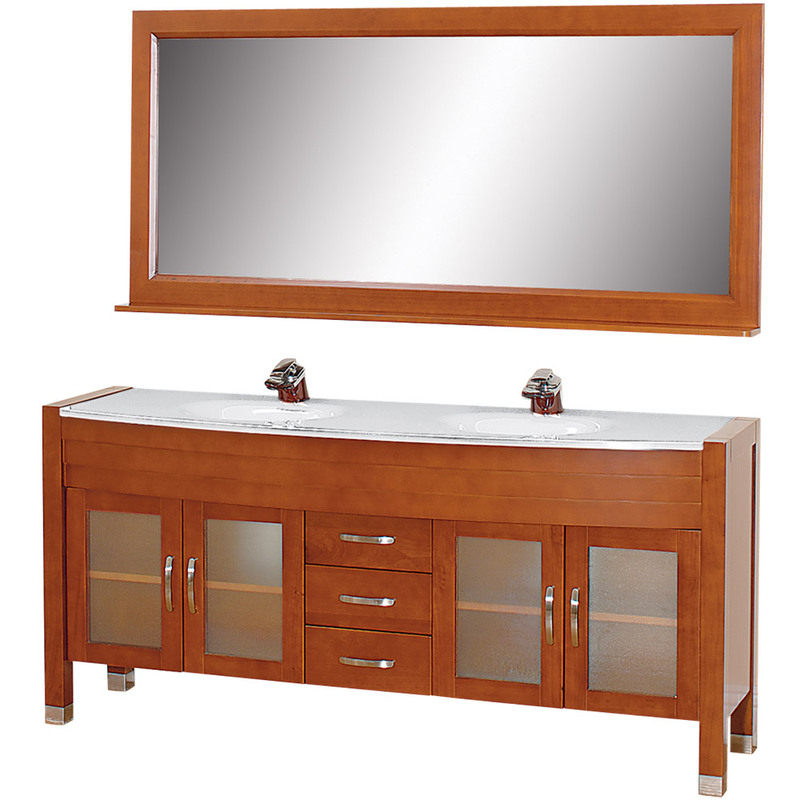 The Daytona 71" Double Bathroom Vanity Set - a modern classic with elegant, contemporary lines. 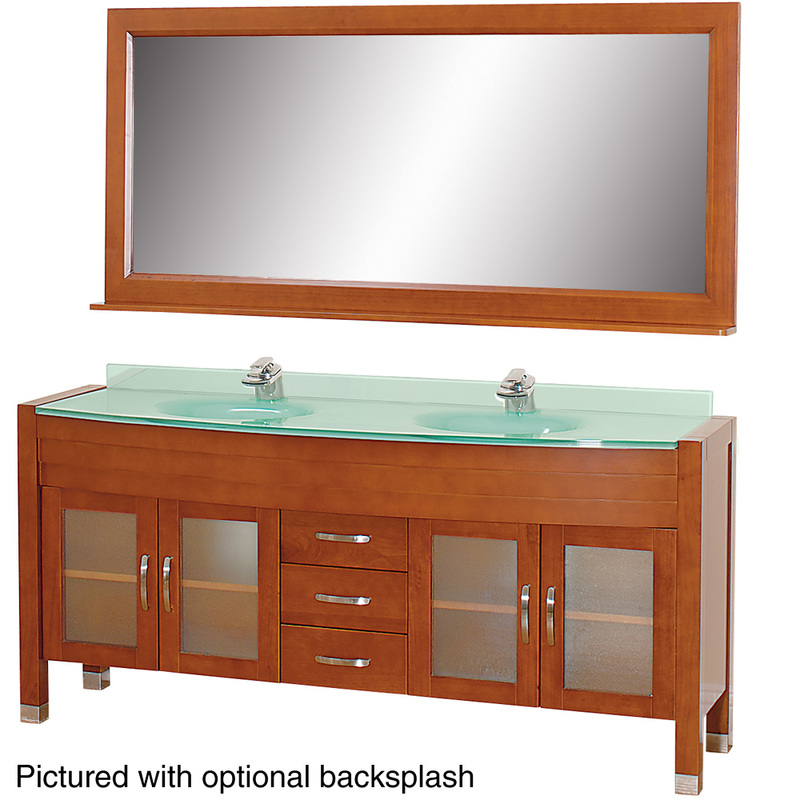 This beautiful centerpiece, made in solid, eco-friendly zero emissions wood, comes complete with mirror and choice of counter for any decor. From fully extending drawer glides and soft-close doors to the 3/4" glass, marble, or man-made stone counter, quality comes first, like all Wyndham Collection products. Doors are made with fully framed glass inserts, and back paneling is standard. Available in gorgeous contemporary Cherry or rich, warm Espresso (a true Espresso that's not almost black to cover inferior wood imperfections). Transform your bathroom into a talking point with this Wyndham Collection original design, only available in limited numbers. 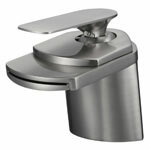 All counters are pre-drilled for single-hole faucets, but stone counters may have additional holes drilled on-site. 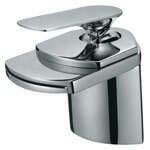 Available in additional sizes, finishes and counter options. Please note that backsplashes MUST be ordered at the same time as the vanity and counter. They cannot be shipped as separate items. Minor shade variations are possible between countertop and backsplash. In the unlikely event that a backsplash arrives damaged you will be given a full refund for the backsplash but it can not be replaced due to the likelihood of breakage. 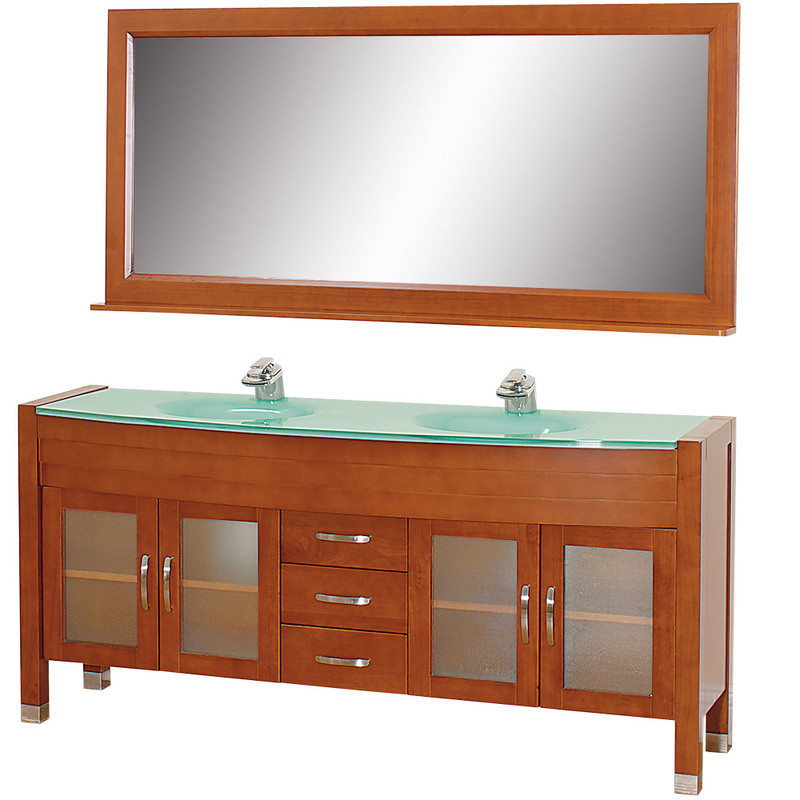 Great vanity, solidly built with excellent finish. Delivery was faster than expected (1 week total to AZ), and product was perfectly packaged to prevent damage. The installation was easy, my wife and I did it in less than a day. (note: the installation instructions are somewhat incomplete, so apply a lot of silicone caulk to each side of the pop-up drain to prevent leakage). 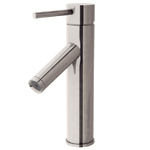 We got the Paris 2 waterfall faucets, as they are a little taller than the Paris 1. 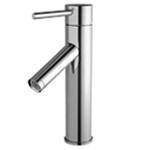 However the extra overhang causes water to shoot out of the sink if the faucets are on full blast, so be careful when you first turn them on! I was somewhat nervous about ordering this particular piece on-line and through website. However, I was so very pleased when I received it. It was exactly what I hoped it would be. I was able to get this for a very good price which made it a great value. Delivery was a week earlier that expected and the delivery team took good care of the product. This has not yet been installed, but I did open it to verify condition at the time of delivery. 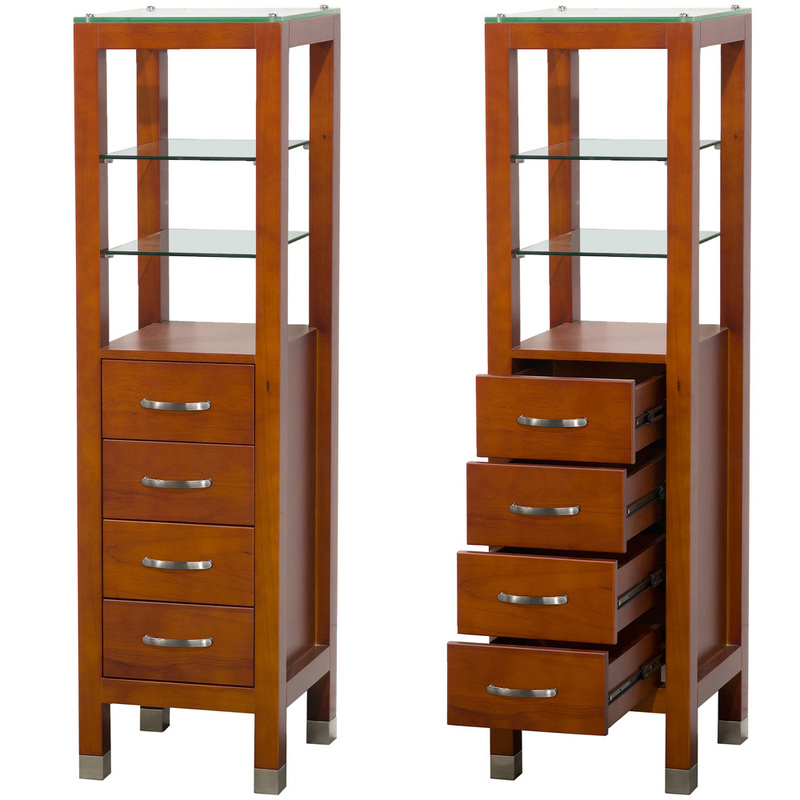 this cabinet is solid oak and looks good while saving space at the ends. the molded glass top is durable and easy to clean. 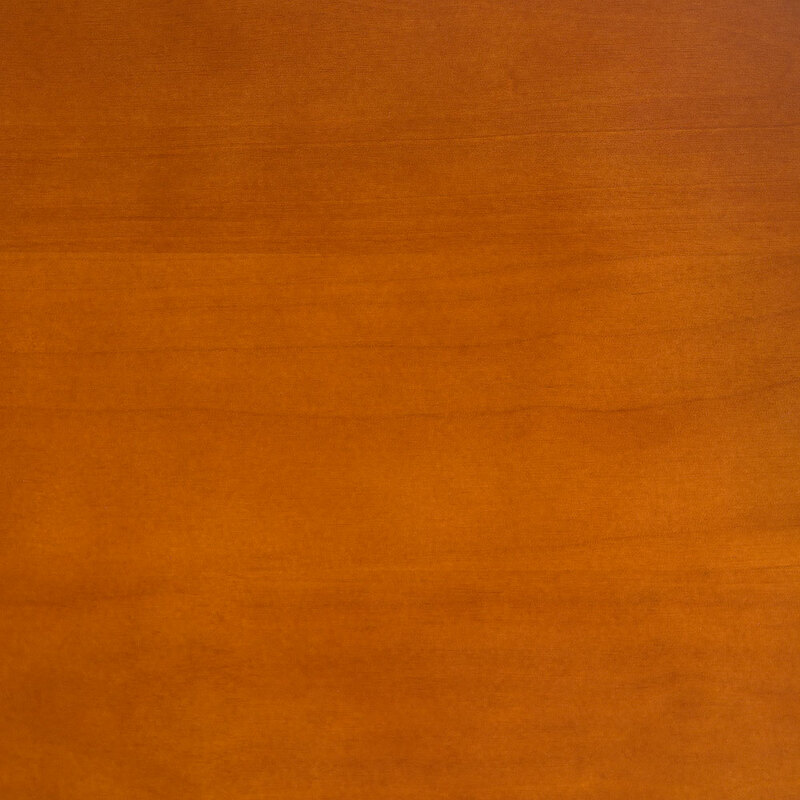 the cabinet is constructed of oak and the counter is very thick. GE silicone seal works best for the counter installation. i ordered the daytona vanity and i had to wait 5 weeks for the counter top, but the product is high quality and looks great. modern bathroom kept my apprised during the process and subsequent delay. This is a nice looking vanity. I love the overall look of it, I installed it in my bathroom, and it looks amazing. I love the combination of the cherry cabinet and the green glass. I purchased it just the way it was. very high quality. 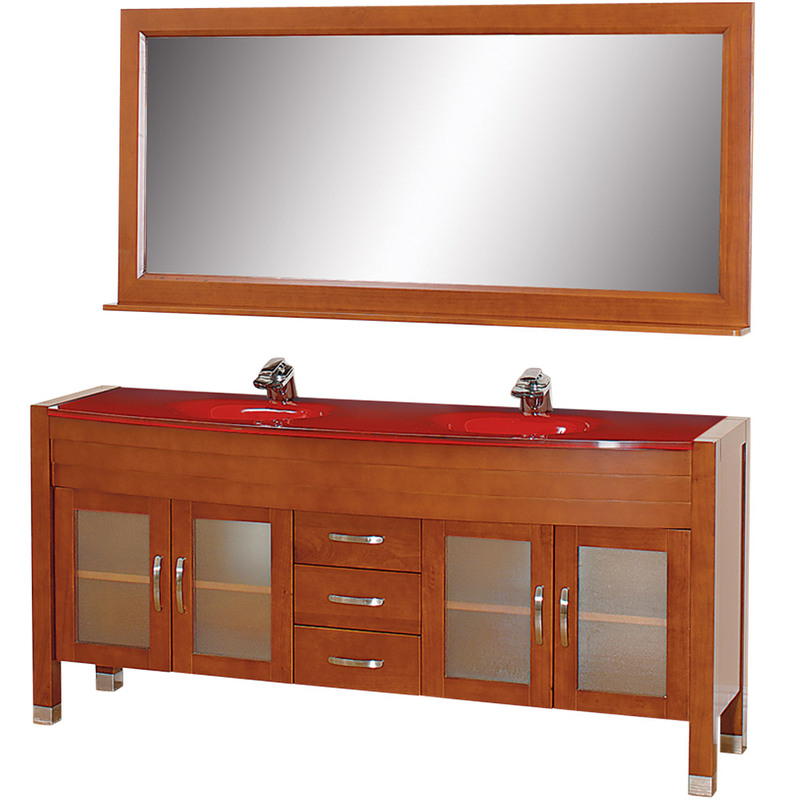 durable glass and fully assembled. satisfied customer. the green glass is the focal point of our bathroom thank you!